The property is currently a playfield with a track. 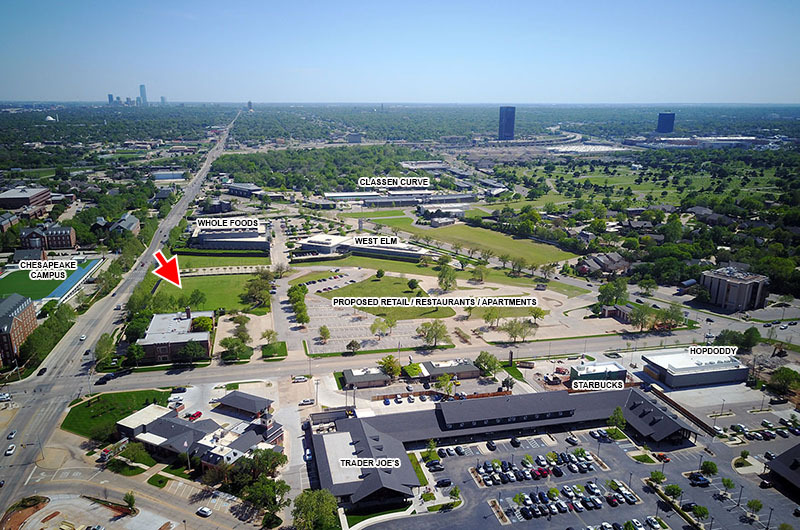 It was purchased by Washington Prime, which in 2014 bought Nichols Hills Plaza and related properties, Classen Curve and the Triangle at Classen Curve. Chesapeake Energy had accumulated and developed these properties under Aubrey McClendon as part of his master plan to significantly upgrade the area around the energy company's campus and after he was ousted, scores of properties have been methodically liquidated. Washington Prime paid Chesapeake $1.2 million for the 2.04 acres last September. Chesapeake had bought the property in 2000 for $2.125 million. Since purchasing the Oklahoma properties, the Columbus-based developer has added many new-to-market tenants including West Elm, Trader Joe's, Kendra Scott, Warby Parker, and Bonbos. They have also filled vacancies with locally owned businesses such as Pop's, Provision Kitchen, En Croute, St. Mark's Chop Room and several others. Just last week, a new Starbucks opened along NW 63rd and Washington Prime is finishing a retail building next door which will be home to Oklahoma's first Hopdoddy Burger Bar when it opens later this summer. 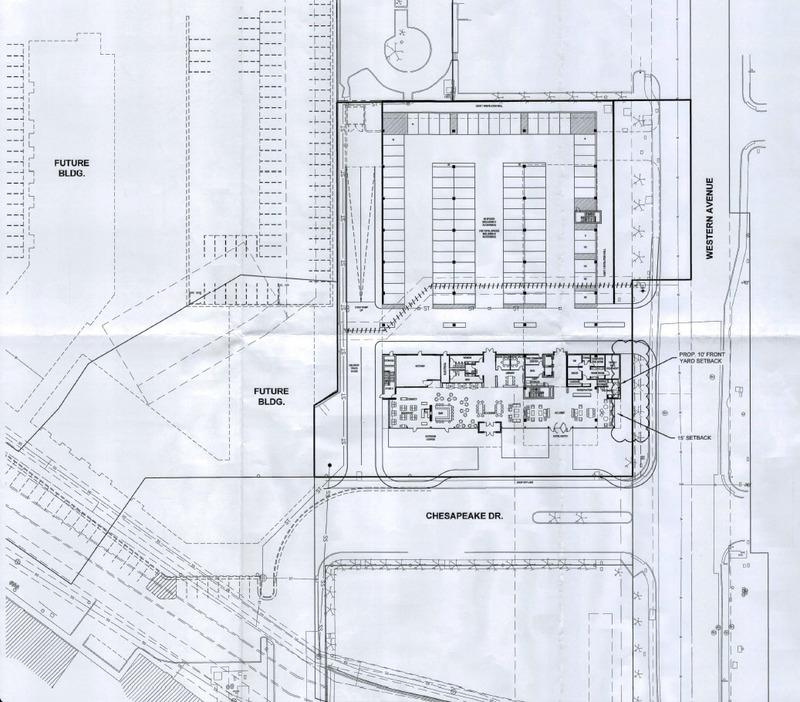 Plans indicate an attached parking structure will be constructed to the north. The hotel would be directly east of another big development planned by Washington Prime which would include more retail, restaurants and apartments. The company's ambitious plans were first revealed by OKCTalk before stalling due to a lawsuit by an attorney who lived in the nearby Glennbrook neighborhood. Robyn Assaf sued both Washington Prime and the City of Oklahoma City, claiming proper notice had not been provided in conjunction of re-zoning which was ultimately granted. The court ruled against Assaf in 2016 and in 2017 an appeal was also denied. 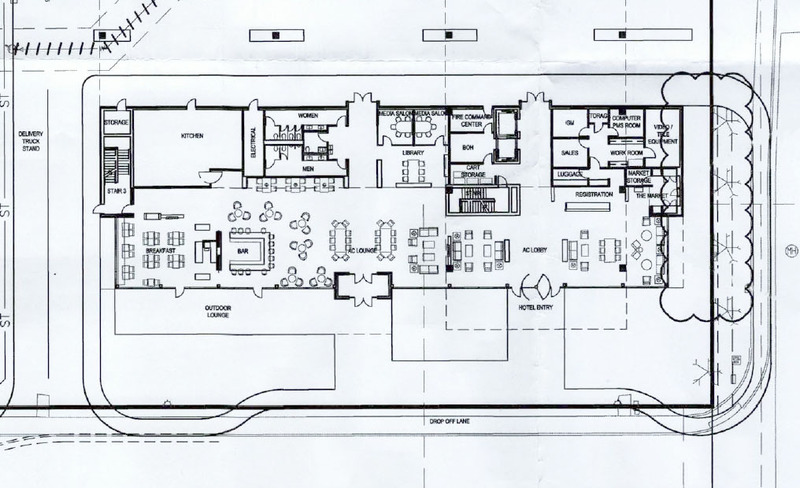 The plans for the new hotel show that the large development is still planned to the east, although the timing and exact configuration is unclear. Previously, OKCTalk had reported that REI was interested in anchoring the development. Note: The reviewed plans indicate the brand would be AC Hotels, as we reported in our original story. However, after our article was published the hotel developer -- who wishes to remain anonymous -- contacted OKCTalk and explained the branding has changed and it will almost definitely not be an AC Hotel but rather another nice new-to-market hotel brand. This article has been edited to reflect that change.